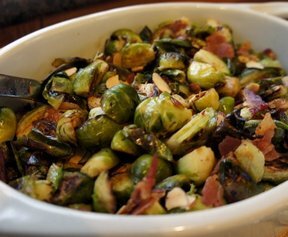 Garlic and bacon add a little something to this vegetable dish. 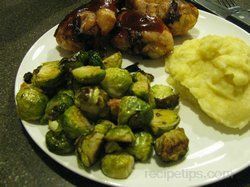 You'll change those non-brussel sprout eaters with just one bite! 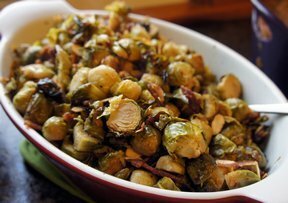 Toss brussel sprouts onto pan. Add garlic, bacon and oil. Season with salt and pepper. Stir to combine. 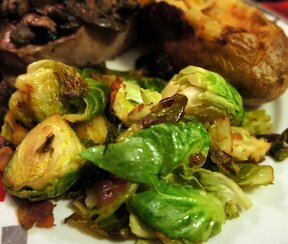 Cook for 14-16 minutes until bacon is crisp and brussel sprouts are carmelized.